Do your bills always seem bigger than your income? Does worry over money seem like a constant companion? Whether you’re a college student new to managing funds or you’ve recently found yourself struggling with new financial challenges, a money coach will tell you making a budget is the first step to getting back on track. Here’s how to improve your financial literacy and reduce ongoing money stress. It’s probably easy to list your vehicle payment, insurance, lodging and utilities, but there are other expenses that regularly drain your bank account. The first step in being financially literate is finding out where the money actually goes. Apps like Billguard and Dollarbird let you add what you spend on an ongoing basis. You may be surprised by what you discover. Most people already have access to past spending records. Download bank statements for the last few months and go through them one item at a time to see what you spend eating out, paying for your cell phone and buying coffee. Identify expenses that occur regularly and those that are just occasional. Also start thinking about what products and services are essential and what you could do without. Make sure you include all sources of debt in your expenses. List both the total amount you owe on each account and the minimum monthly payment for auto, student, credit card and real estate debt. 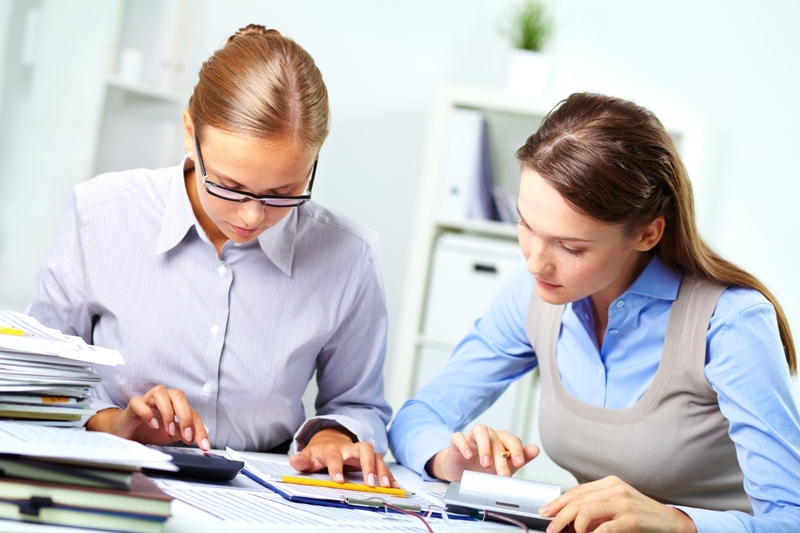 Gather documentation, such as pay stubs, but also look for other revenue. If you receive child support, money from rental property, if you have an annual garage sale or typically receive a tax return, it’s income you’ll want to track. Add up what you’re currently spending and compare that to your income to see if what you make is enough to cover your current bills. If you currently make enough, your budget might involve a few changes to set aside more for savings or long-term financial goals. If you don’t, it’s time to identify ways you can cut back. 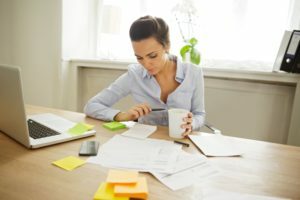 Pay off debt – Getting out of high-interest debt is one of the most important things you can do to improve overall financial health. Pay off the highest interest loan first while still making minimum payments to other accounts, then apply that money to the next expense on your list. Seek out debt counseling to develop a plan. Build savings – Whether you’re developing a cushion for unexpected needs or putting away funds for a major purchase, it’s easier if you automate it. Sign up to have a portion of your paycheck automatically set aside so you don’t even have to think about it. Spend smarter – If you were shocked by your discretionary spending, identify categories in which you splurge too often and create a specific plan for reducing spending in those areas. Once you’ve set your goals, find steps that will help you reach them. Many people see creating a budget as a goal akin to going on a diet. They think it’s about self-deprivation and sacrifice. 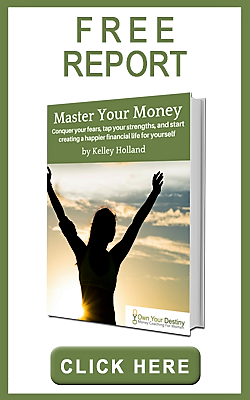 Develop a mindset that views your budget as a way to achieve financial freedom and do what you want with your life, and you’ll be well on your way to owning your destiny.